In the late 1990s, as Esteban Burchard was finishing up his medical training at Harvard’s Brigham and Women’s Hospital, newspaper headlines blared warnings about what appeared to be a growing asthma epidemic. Since the 1980s, incidence of asthma had steadily soared. For Burchard, the headlines were no mere abstraction. One day, a black teenager died next to the Harvard hospital where he worked, clutching an inhaler that had failed to save his life. The epidemic seemed to be hitting African Americans and Latinos especially hard. And, at the time, research suggested that asthma not only occurred at a higher rate within these populations, but they also seemed to get sicker. “For reasons not entirely clear, the asthma burden is falling heaviest on minorities, especially those living in urban poverty,” the Boston Globe wrote in a major 1999 story. Burchard, though, had a clue about what might be happening, and it wasn’t just that African Americans and Latinos lived in places with poorer air quality or lacked access to good health care. Part of the disparity, he thought, was genetic. In 1999, he co-authored a paper that revealed a variant in the gene IL-4 seemed to be associated with asthma severity and was 40 percent more common among African Americans. A Latino himself, he also knew that many Latinos have African ancestry. Sequencing the human genome has shown us that we are mostly all made up of the same stuff, but it’s the tiny variations in our coding that account for huge variations among people. In his most recent study, published earlier this month, Burchard’s team at UCSF sequenced the entire genomes of 1,441 African American and Latino children with asthma and found a genetic variant that may be responsible for why the most popular asthma medication on the market, albuterol, often does not work for black and Latino children. Knowing whether someone has that genetic variant could determine how well they respond to a drug, which could in turn mean life or death. The promise of personalized medicine is to exploit the variations in our genome, tailoring treatments and assessing risk of disease based on specific genes. But modern science has so far mostly ignored that those variations sometimes fall along ancestral lines. The truth is that if you are black, Latino, or a member of an indigenous population, we just don’t know all that much about your specific genes. People in Europe, of course, are a mish-mash of genetics just like everyone else, but when scientists refer to people of European ancestry, they’re not talking about modern-day Europeans. They’re generally referring to people who are descendants of modern human populations who migrated out of Africa and spent time evolving in geographic regions of what is today known as Europe. 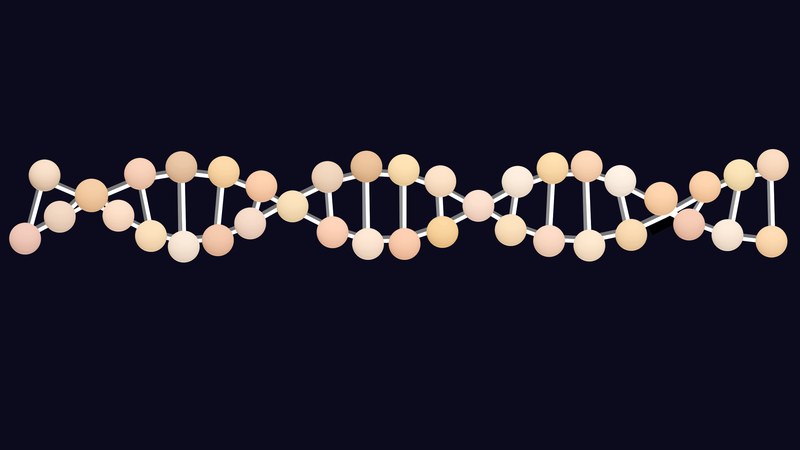 Like most new technologies, the promise of DNA sequencing has not been equitably dispersed. And because it’s impossible to know what we don’t know, it’s hard to grasp just how much that matters. Research like Burchard’s, though, suggests that in some cases it matters quite a lot. It’s not that scientists are unaware of the issue. Alice Beecher Popejoy, a Stanford postdoctoral researcher who authored the 2016 study on diversity in genomics, said she became interested in the issue because it frequently came up while she was in graduate school at the University of Washington. Every class she took on human genetics seemed to include a presentation with a caveat slide urging students to keep in mind that most research was done on people with European ancestry and should therefore be taken with a grain of salt. If the research was so biased, she wondered, why hadn’t anyone done anything about it? In her research, Popejoy found that things had improved slightly since 2o09, when another study found that 96 percent of participants in genome-wide association studies were of European descent. But it hadn’t improved by much. And of the 20 percent of research being done in non-European populations, much of it was research taking place in Asia, on populations of Asian ancestry. In 1993, Congress passed legislation requiring publicly funded medical studies to include more women and minorities. But in 2016, people of African, Latin American, and Native American ancestry were still barely represented in genetics research at all. Popejoy analyzed a catalog of every English-language genome-wide association study reported on PubMed, and found that people of African, Latino, and native or indigenous descent represent less than 4 percent of all samples analyzed in the studies. These genome studies have helped to uncover genetic variants associated with biological traits and conditions as varied as diabetes, schizophrenia, and morning sickness. “Until they are able to conduct amply powered [genome-wide association studies] on each major ancestral population across the world, geneticists will continue to miss important information about disease biology,” Popejoy and her co-author wrote in 2016. Take diabetes. Some 25 percent of the variants in Americans of primarily European descent that genome studies have identified as associated with body mass index, type 2 diabetes, and lipid levels did not have the same level of association in some populations of non-European ancestry. That means that if, say, your doctor used that variant to test for your risk of developing diabetes, the test might not be a good indicator of risk if you are not of European ancestry. Like with the asthma drug albuterol, several studies have shown that drug response also differs depending on genetics. The gene CYP2D6, for example, encodes an enzyme that helps to metabolize a huge number of commonly prescribed drugs. Some variants of the gene that interfere with safely digesting those drugs, though, seem to occur much more frequently in certain regions. The Harvard geneticist Robert Green pointed out that a lack of diverse data can also make it hard to tell how relevant a variation is overall. To wit: A study of the Greenlandic Inuit population found one variation in a single DNA base pair that affected height. It turned out the same variation impacted height in Europeans, too, much more so than other previously identified variations, but researchers had missed it in other studies because it was not all that common among Europeans. For complex traits like diabetes, drug response, and height, many genes and environmental factors interact with one another to influence our health. Teasing apart how much of that is genetic and how much of that is due to shared environments is a very difficult—but necessary—problem to solve. So, if scientists are well-aware of the problem, why doesn’t everyone just start incorporating more diverse genetic data into their research? Well, as is so often the case in slow-moving fields like science, it’s complicated. For one, scientists keep using the same well-established data sets they’ve always been using, which are largely European. It’s not just a bad habit. Because those data sets have been used time and time again, they are viewed as reliable. More diversity means more heterogeneity in variables to consider, so scientists consider European samples to be the most homogeneous and thus simpler to analyze and interpret. Minority communities can also be harder to attract to new research studies, for a variety of reasons, including a lack of trust in the medical community and lack of access to health care providers conducting the research. And, said Burchard, it certainly doesn’t help that most scientists actually doing the research are of European descent themselves. A scientist’s own racial and ethnic background, he said, is an implicit bias that makes it hard for modes of research to change. Lack of diversity, of course, is a significant problem throughout biomedical research. But the powerful promise of genetics and the potential for truly personalized health care makes the problem of diversity in genetic research particularly acute. In recent years, a few new efforts to bolster diversity in genetics have begun cropping up. The nonprofit consortium GenomeAsia 100k plans to sequence the genomes of 100,000 people from across Asia. And the All of Us program, which the National Institutes of Health will launch later this year, plans to gather data over time from 1 million people in order to learn more about how individual differences in lifestyle, environment, and biology can influence health and disease. And there have been a growing trickle of studies like Burchards that look at these questions as well. But most large studies still rely on data from populations that are mostly of European descent. The result of all this is that without correction, precision medicine is on course to be a breakthrough that serves to reinforce existing societal and economic inequalities. “There’s just been no accountability,” she added.